According to Child age 1. Criminal law 1860 IPC sec years 2. 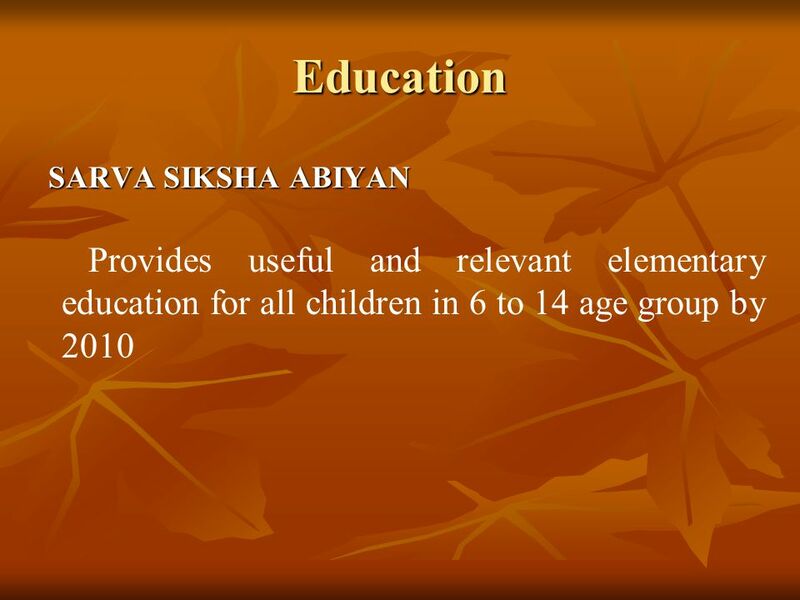 Juvenile justice Act Boy – 16 Girls – 18 3. 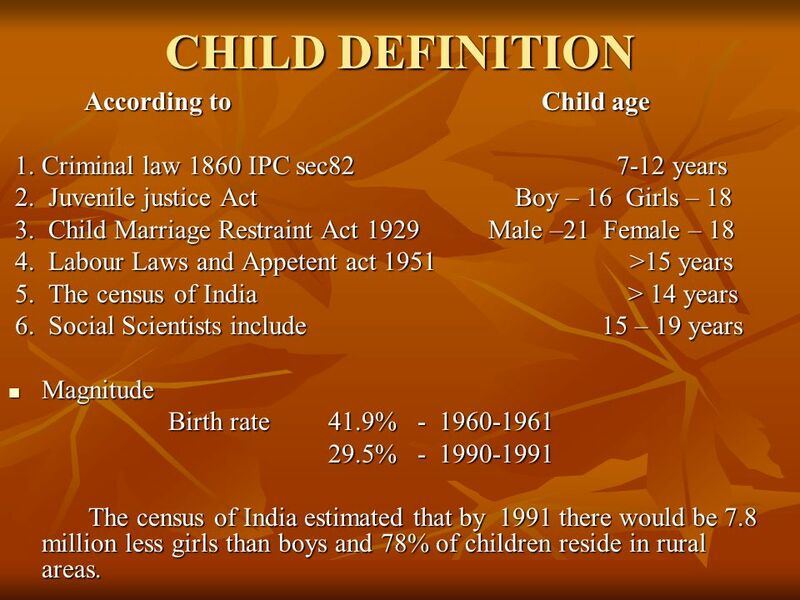 Child Marriage Restraint Act 1929	Male –21 Female – 18 4. Labour Laws and Appetent act >15 years 5. The census of India > 14 years 6. 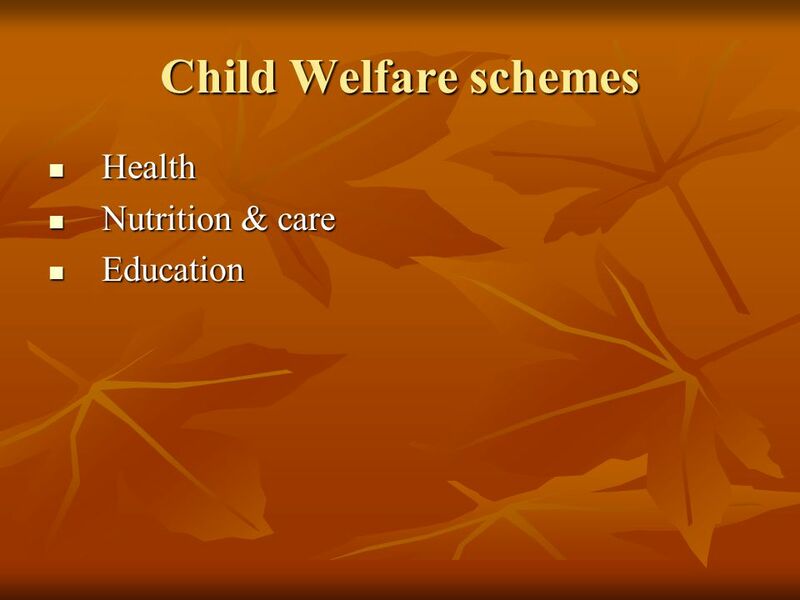 Social Scientists include – 19 years Magnitude Birth rate	41.9% 29.5% The census of India estimated that by there would be 7.8 million less girls than boys and 78% of children reside in rural areas. 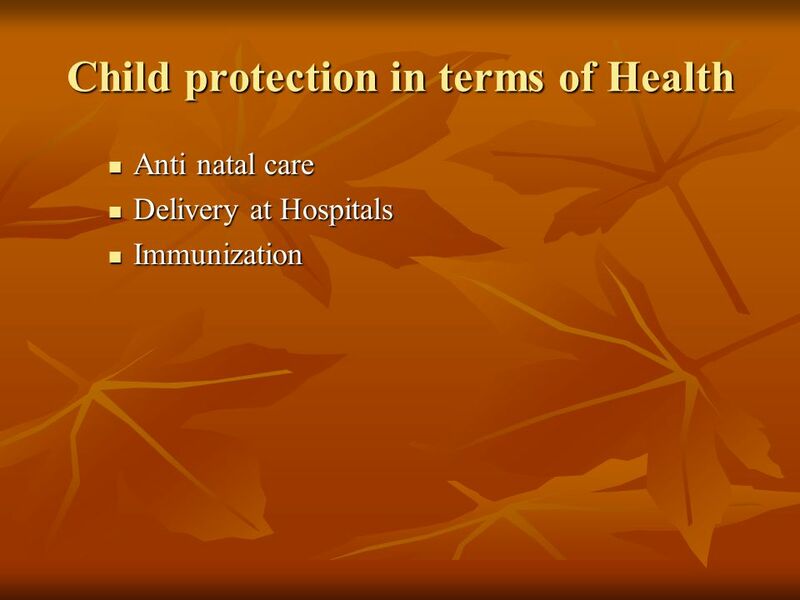 That includes the right to life, the highest attainable standard of health, nutrition and adequate standard of living. It also includes the right to name and nationally. 2. 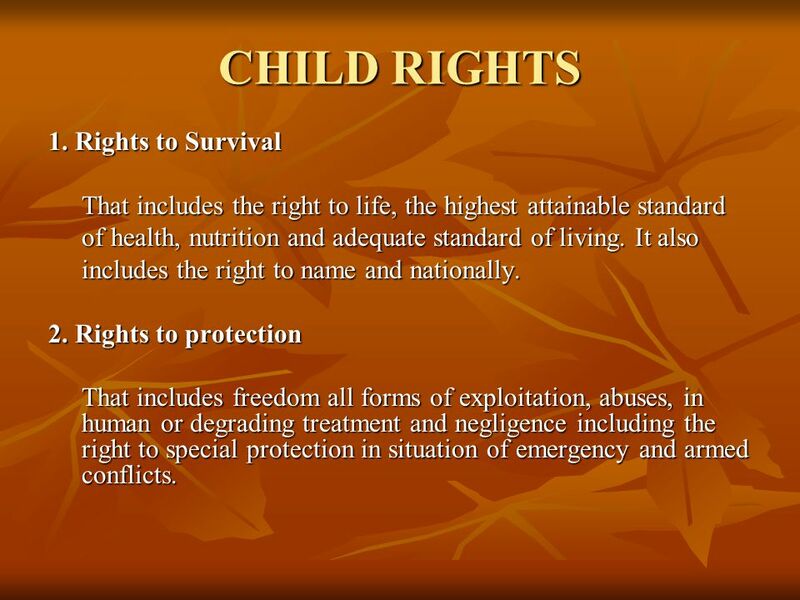 Rights to protection That includes freedom all forms of exploitation, abuses, in human or degrading treatment and negligence including the right to special protection in situation of emergency and armed conflicts. 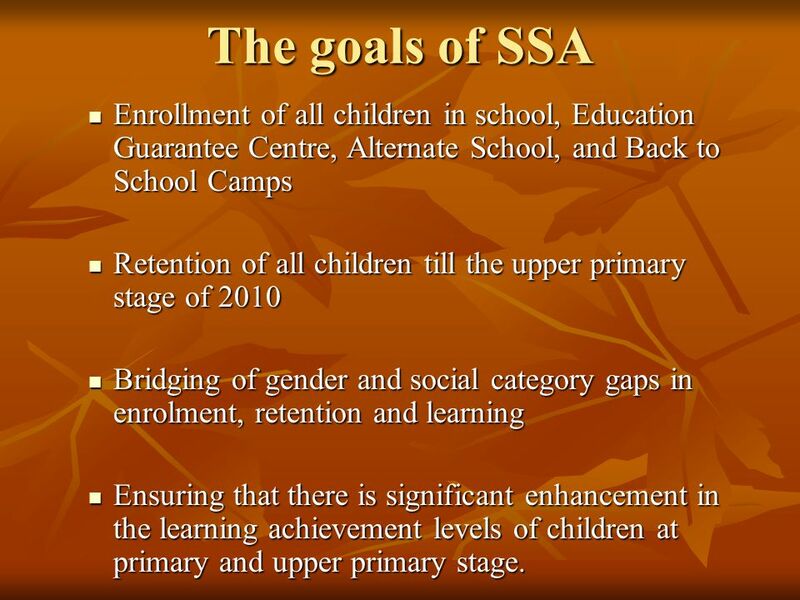 9 The goals of SSA Enrollment of all children in school, Education Guarantee Centre, Alternate School, and Back to School Camps Retention of all children till the upper primary stage of 2010 Bridging of gender and social category gaps in enrolment, retention and learning Ensuring that there is significant enhancement in the learning achievement levels of children at primary and upper primary stage. 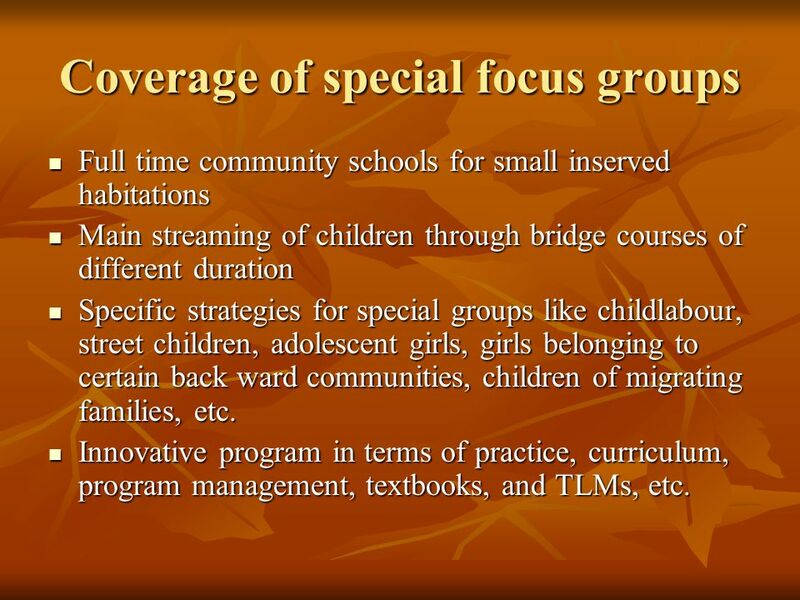 Full time community schools for small inserved habitations Main streaming of children through bridge courses of different duration Specific strategies for special groups like childlabour, street children, adolescent girls, girls belonging to certain back ward communities, children of migrating families, etc. Innovative program in terms of practice, curriculum, program management, textbooks, and TLMs, etc. 16 6. 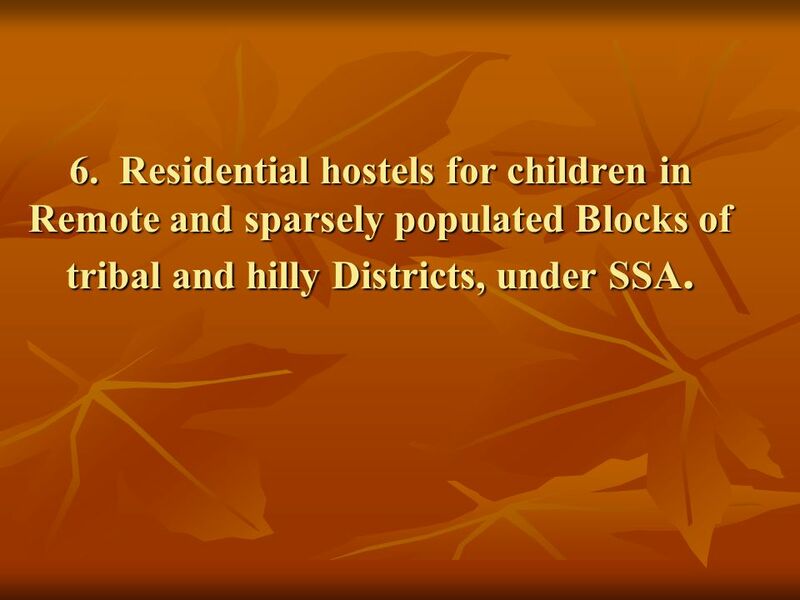 Residential hostels for children in Remote and sparsely populated Blocks of tribal and hilly Districts, under SSA. 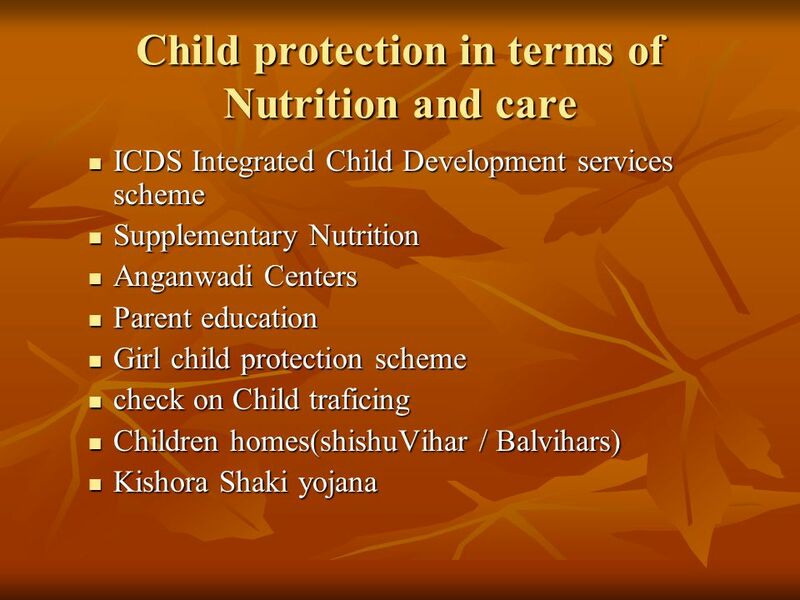 To free the girl child from baby sitting School Readiness Importance on 3Rs. 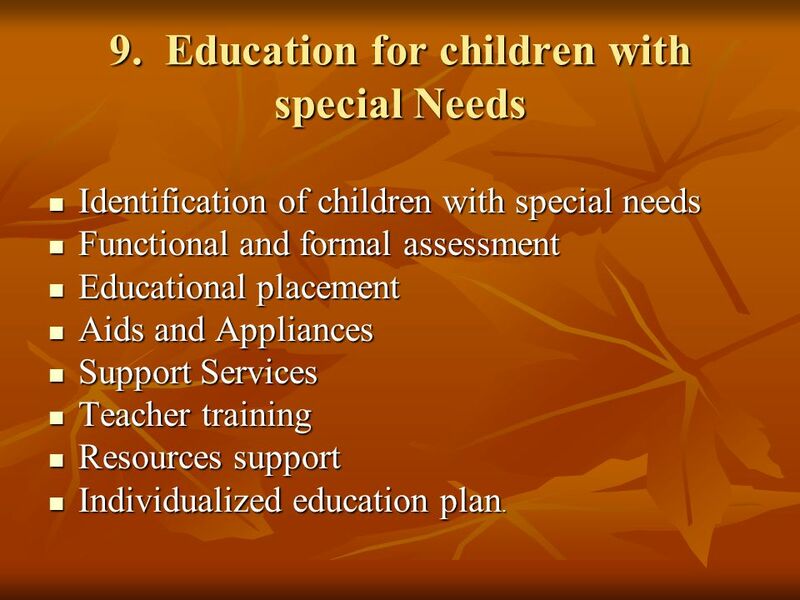 Identification of children with special needs Functional and formal assessment Educational placement Aids and Appliances Support Services Teacher training Resources support Individualized education plan. 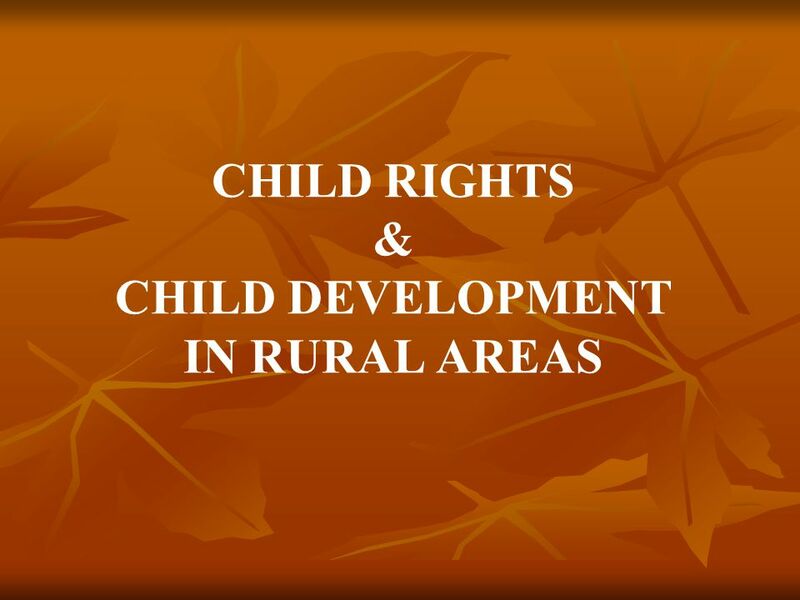 Download ppt "CHILD RIGHTS & CHILD DEVELOPMENT IN RURAL AREAS"
STANDARDS OF CARE IN CUSTODY, AFTERCARE AND SOCIAL REINTEGRATION OF CHILD OFFENDERS. 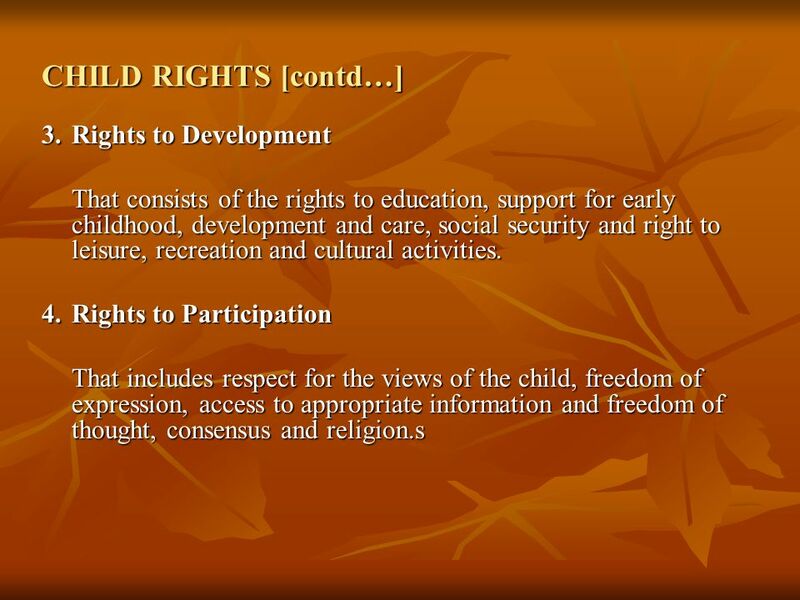 To help children realise their right to a primary education of good quality, we need to: promote early learning experiences from birth guarantee children. Sample subtitle in Gill Sans MAY 20, 2005 Transitioning to First Grade in El Salvador Challenges and Opportunities June 28, 2007. ECD/HIV IN ZAMBIA Presentation at the Regional Workshop on ECD/HIV Dar es Salaam, Tanzania 14 April 2004. 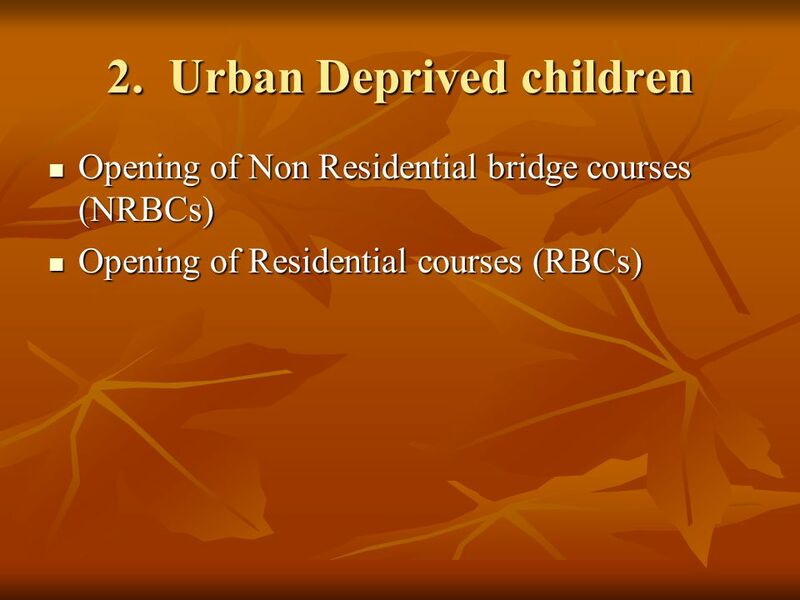 R EDEFINING T HE R OLE O F M ULTI- G RADE T EACHING CHALLENGES AND POLICY IMPLICATIONS. Strategies for House Hold Survey Presentation by : Ms. Kalpna, Consultant Annexure – IV. NAME : L. SHANMUGAM, M.A.,M.Ed., DESIGNATION : SECRETARY ORGANIZATION : UPAHARMADURAI SUB THEME : Development of Sustainable service for deafblind people. 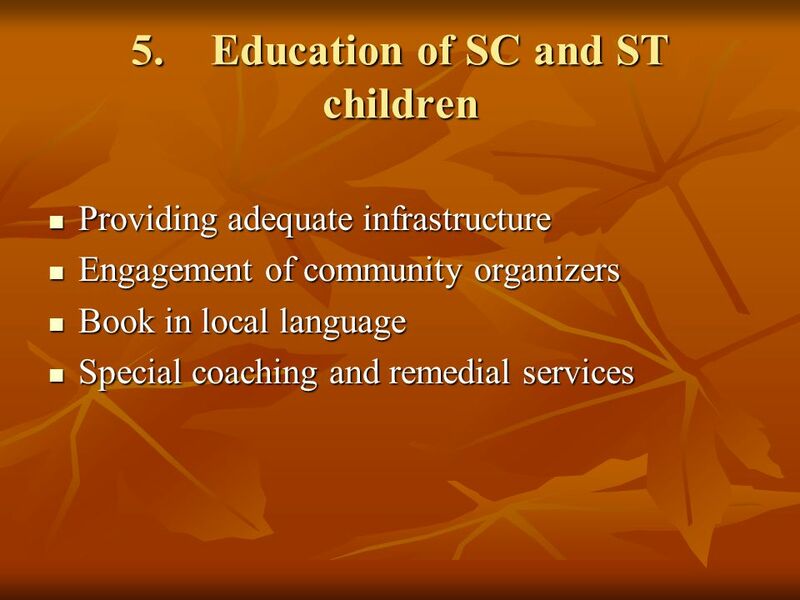 Education for All (EFA) within the Millennium Development Goals (MDGs) framework. Is Gambia on track with EFA & MDG? 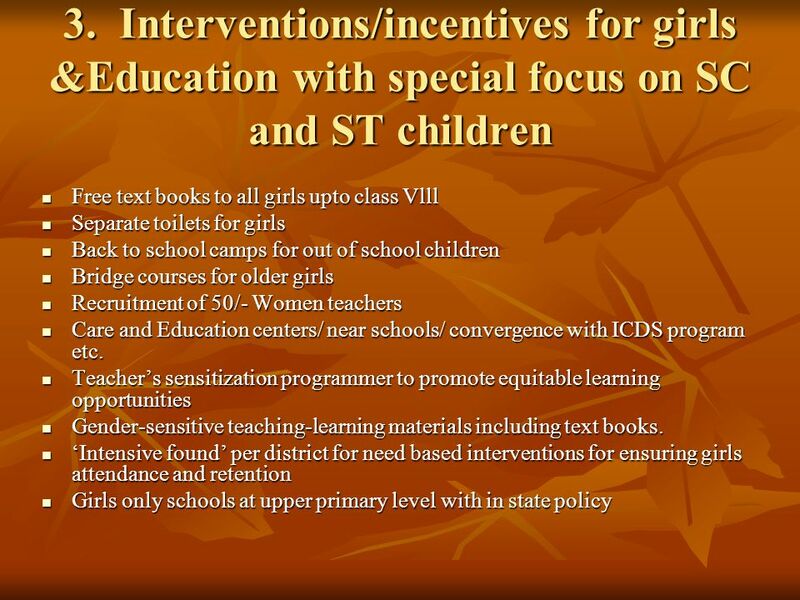 WORKSHOP ON INCLUSIVE EDUCATION FOR. Indigenous and Tribal Peoples | www.ilo.org/indigenous | www.pro169.org Indigenous children and child labour: Towards a rights- based approach.